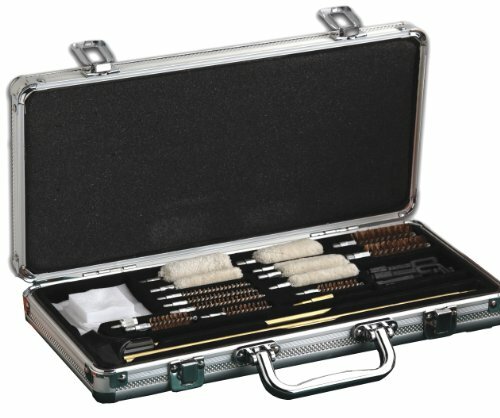 Hopper deluxe gun cleaning accessory kit includes a complete set of rods and brushes designed to fit almost any popular size of firearm. This hopes cleaning kit is shotgun and pistol adaptable. Make your gun cleaning work easier with the HOPPE'S deluxe cleaning accessory kit. Eight phosphor bronze brushes to fit .22, .270/7mm, .30, .357/9mm, .40/10mm and .44/.45 calibers, along with 12 ga. and 20 ga.